The School of Music offers an excellent professional and liberal arts education to students pursuing a career in music performance, history and literature, music education, conducting, music theory, Orff Schulwerk, composition, or jazz studies. The school enrolls more than 400 music majors and attracts students from throughout America and international students from Japan, China, South Korea, Australia, New Zealand, Europe, and Canada. A curriculum that emphasizes both performance and scholarship in small classes, allowing you to excel in your chosen field. Frequent interaction with faculty who strive to create a nurturing atmosphere while challenging you to develop your talents and further your ambitions. Discipline-specific student organizations, including the American Choral Directors Association (ACDA), and National Association for Music Educators (NAfME). As an innovative artistic and educational leader in the United States, as well as the primary catalyst for music culture in Southern Nevada, the mission of the UNLV School of Music is to provide a professional artistic environment that supports programs of excellence in the education of musicians. With respect for and responsiveness to the needs of students and faculty, the school produces musicians of the highest quality, develops each student’s unique strengths in performance, composition, and the teaching of music, generates excellence in musical literacy and performance, and increases the public’s appreciation for the intrinsic value of music through leadership and excellence in teaching, research, scholarship and creativity, and professional service. 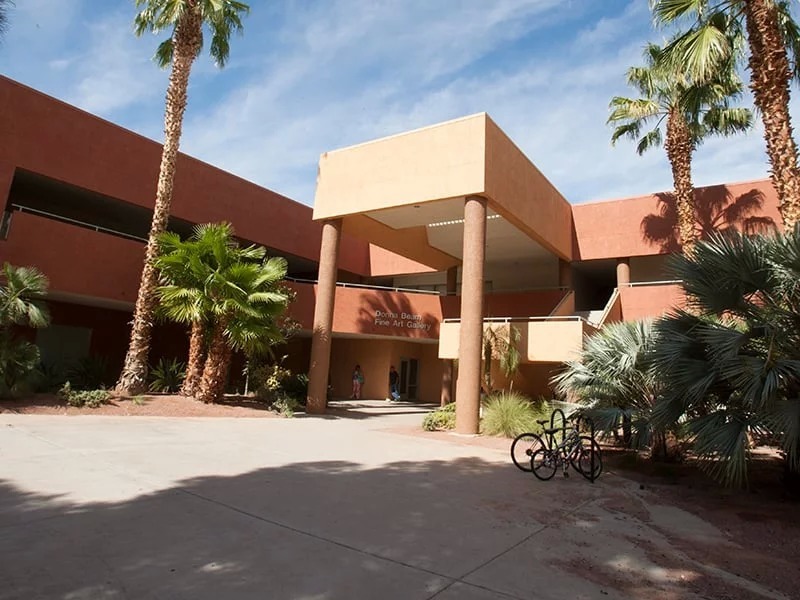 The University of Nevada, Las Vegas School of Music strives to be acknowledged as one of the foremost comprehensive programs of music in the United States, able to attract the finest students and faculty. Through instructional excellence, leading-edge research, inspired creativity, and dedicated service, the school seeks to prepare students to be artistic leaders in their profession, each possessing the highest standards of performance, teaching, scholarship and artistic vision, and each capable of achieving success in their chosen field. These two buildings contain rehearsal rooms, teaching studios, administrative offices, performance venues, and other resources identified in the list of facilities below. Instruments within the school’s (non-keyboard) inventory are available to registered students and faculty; priority in their use is given to music majors. Please see instrument use policy for further information. 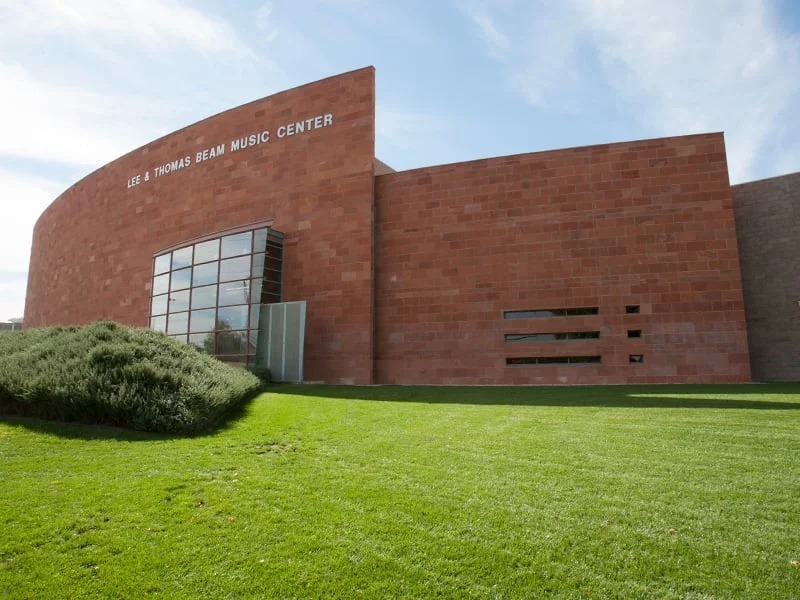 The Music Library supports the curriculum of the UNLV School of Music and the teaching and research needs of faculty, students, and the Las Vegas music community. The Music Library houses a small music reference collection and over 35,000 scores, 15,500 recordings, and 3,000 DVDs with an emphasis in classical music and jazz. Audiovisual materials relating to dance are also located in the Music Library.